At some point, the time comes that you need a roof replacement for your home in the Farmington Valley area. Don't fret though, you already have the name of the best roofing services provider to rely on to get the job done - Brian O'Donnell Quality Home Improvements. What many people worry about is whether or not they actually need a replacement or just repairs. It is true, there are some shady roofing contractors out there that will try to talk customers into replacing a roof before it is time just to make extra money. This is not the type of practice that you have to worry about when you work with a reputable and established roofing contractor. The O'Donnell name has been around in the local roofing business since 1978, spending decades building this impeccable reputation. There is no reason for you to take a gamble when it comes to getting the level of quality that you deserve for your replacement service needs. Brian will meet your at your home prior to any roofing quote to go over all of your unique needs including things like leak issues. He will then perform a thorough inspection and detailed needs assessment. This hands-on approach is crucial to uncover any existing roof damages or issues, such as insect damage or rot. It must be carried out prior to even providing a quote and beginning the process. From there, the collected data is compiled in order to create an individually designed roof system that will meet your unique needs, as well as provide you with an accurate quote. When you choose to work with Brian O'Donnell Quality Home Improvements for your roof replacement, you can feel beyond confident about the quality of work. We only use a full time, factory trained and certified roof installation crew. A crew that is fully covered by worker's compensation and liability insurance. The age of your current roof. The average asphalt shingle roof has a life expectancy of approximately 20 years. 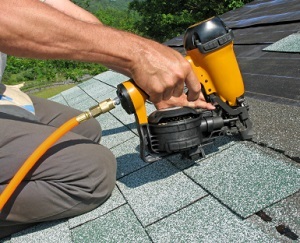 If your rooftop is nearing that point, it is probably time to replace instead of repair. If you can see sunlight through the boards. While it is important to always get a professional inspection and assessment of your roofing, even an untrained homeowner can see if sunlight is coming through the roofing boards. If this is the case, it means that it is time to move past repairs and start with a new roof. The cost of roof repairs is too great. For any repair versus replacement comparison, you can always figure that if the cost of repairs is greater than 50% of the current value, opt for replacement. This is especially true if your roof is already approaching the 20 year mark. Replacing roof shingles properly is important because as they get older, they lose their durability and ability to keep your home protected. Granules come loose and the integrity of the roofing shingles is compromised. 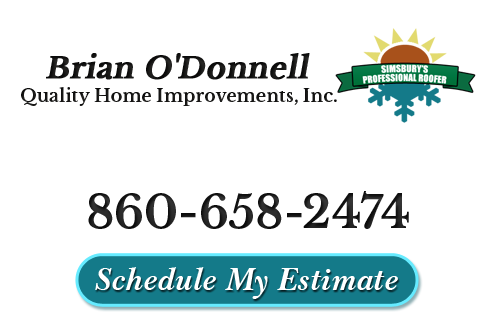 The bottom line is that, at Brian O'Donnell Quality Home Improvements, we care about taking care of the needs of our clients. Our main drive is to be able to provide our customer base with the quality services that they need and this starts with explaining to you the options that you have. We will work with you to help ensure that you make the best decision possible for your individual situation. With almost 40 years in the business, Brian has become known as much for his customer care as his superior workmanship. Your roof is the most important aspect of your home, let us treat it as such. Call today in order to get started. If you are interested in a roof replacement estimate, please call our roofing contractors at 860-658-2474 or complete our online request form.